Thu, Sep 6, 2018, 12:45 am SL Time, ColomboPage News Desk, Sri Lanka. Sept 05, Colombo: The World Health Organization (WHO) has declared Sri Lanka as a Rubella-free-country, the Health Ministry said. 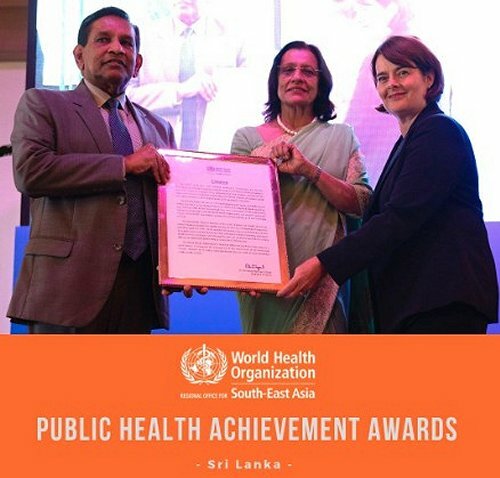 Health Ministry's Media Secretary Nipun Ekanayake said the WHO Regional Director for South-East Asia Poonam Khetrapal Singh awarded the certificate declaring Sri Lanka as a Rubella-free-country to Health Minister Dr. Rajitha Senaratne at the WHO South-East Asia Regional Conference in New Delhi, India Wednesday.